Not only is it very healthy but it also tastes exceptional. This recipe originally is from Ukraine though a lot of us brought it here to America. 1.) Wash and dry vegetables. 2.) Cut the avocado in half and take out the seed. Peel the avocado, shred it. 3.) 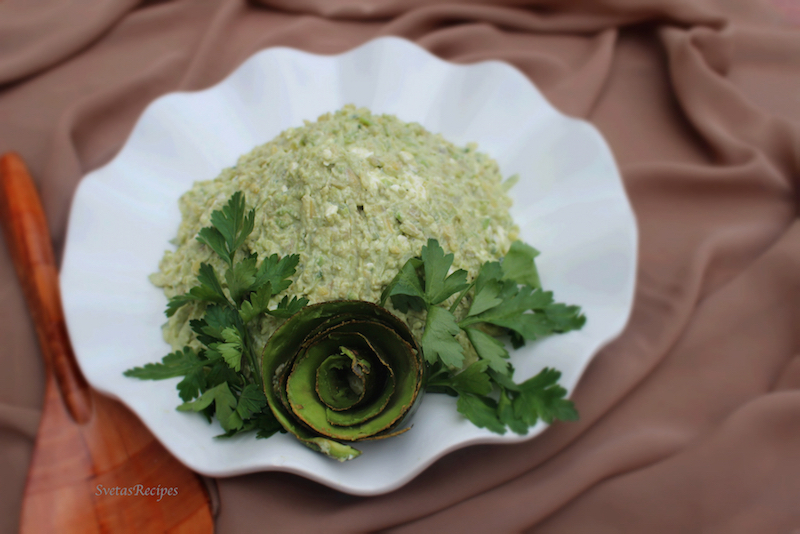 Shred cucumber and cream cheese, Combine all ingredients in a mixing bowl and mix. 4.) Add mayonnaise, pepper and salt, mix again well. Set on serving dish and decorate. 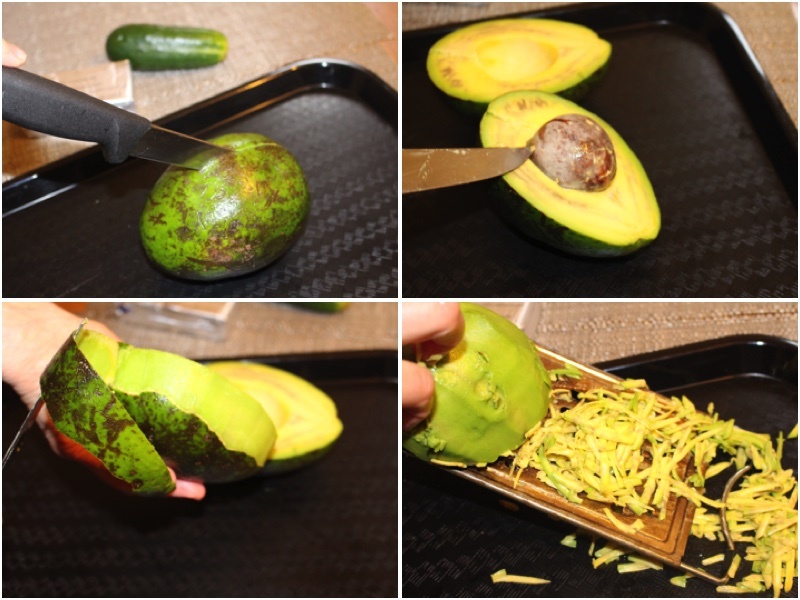 Cut the avocado in half and take out the seed. 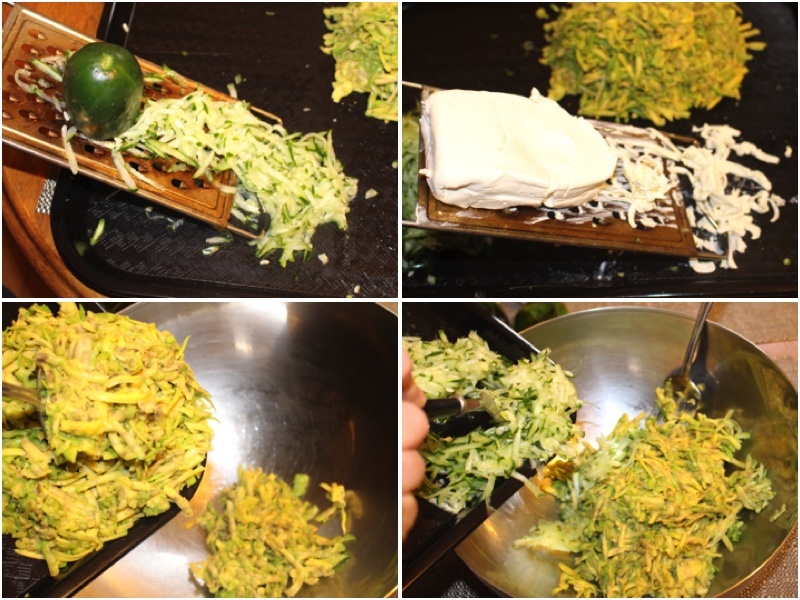 Peel the avocado, shred it. 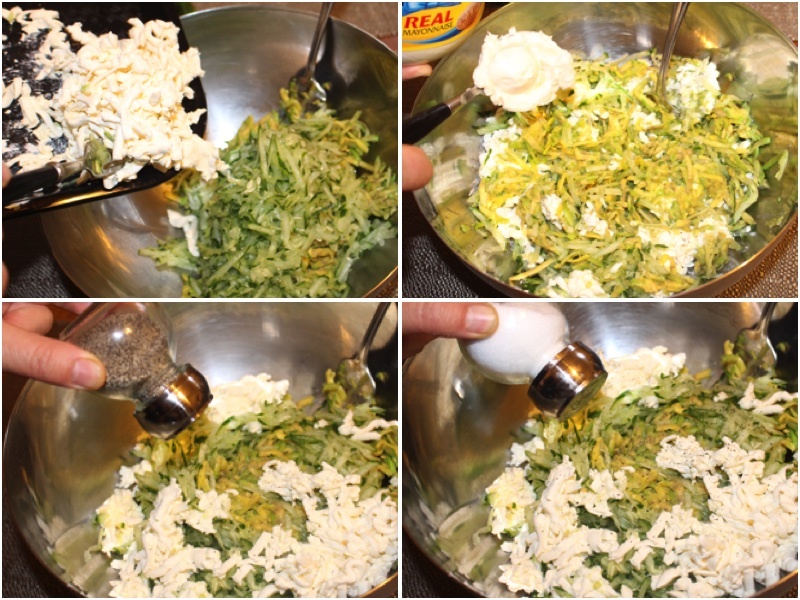 Shred cucumber and cream cheese, Combine all ingredients in a mixing bowl and mix. Add mayonnaise, pepper and salt, mix again well. Set on serving dish and decorate. I just stumbled across your blog and thank you so much for putting so much work into this blog to show us how classic Slavic dishes are made! I like your spin of this spread. Thank you for sharing your creations with us! 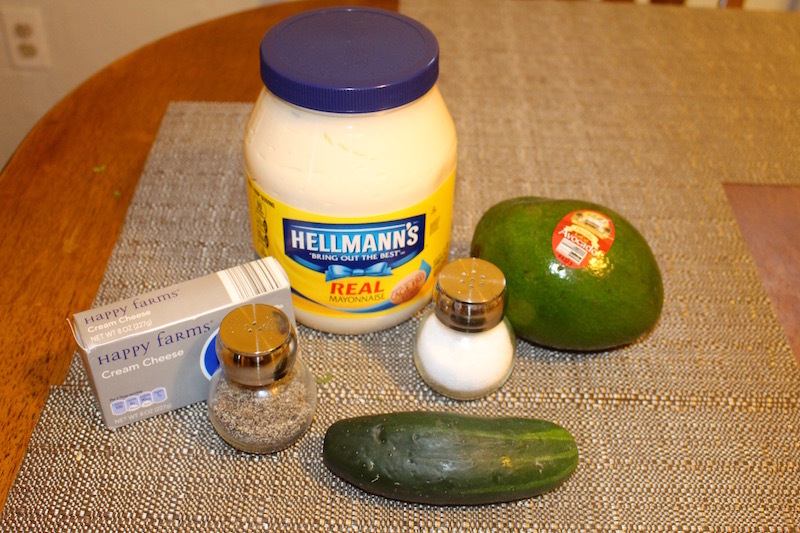 I learned this some time ago, that if you add a little lemon juice into this salad spread, it won’t brown. Also, if you make this salad ahead of time, put that avocado bone inside, cover this with saran wrap and refrigerate. The bone will also keep it from turning brown. Thank you again for all of your hard work! It’s a salad, but you can use it as a spread if you’d like to.